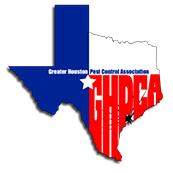 Do you have questions about termite infestations, treatment, and control? 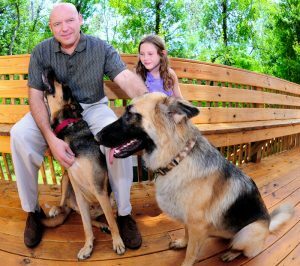 The termite control experts at Pest Arrest are here to answer your most frequently asked questions! Why Should I Worry About Termites? 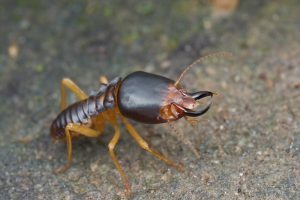 Aside from causing billions of dollars in damage each year, termite infestations are concerning because they can damage your home, including any wood surfaces, paper, books, insulation, and even swimming pool liners and filtration systems. They can also injure and/or kill living trees and shrubs. Additionally, termite infestations can be problematic if you’re trying to sell your home, and may be emotionally trying. 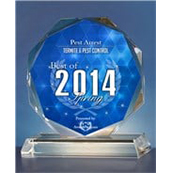 If you’re in need of professional termite protection, contact Pest Arrest today! Why are Infestations Often Discovered in March, April, and May? Typically, warmer temperatures and rainfall trigger large numbers of winged termites (known as “swarmers”), causing them to emerge inside homes. In nature, termites swarm to disperse and start new colonies. Winged termites emerge from the colony and fly into the air. The swarmers then drop to the ground, shed their wings, pair off with a mate, and attempt to begin new colonies in the soil. Few swarmers emerging outdoors will survive to start new colonies. Swarmers emerging indoors are incapable of eating wood, seldom survive, and are best removed with a vacuum. They do, however, indicate that an infestation is present. How Will I Know if I Have a Termite Infestation? Discovering these winged pests indoors almost always indicates an infestation warranting termite treatment. People often confuse winged termites with ants, which often swarm at the same time of year. Termites can be identified by their straight antennae, uniform waist, and wings of equal size. Ants have elbowed antennae, constricted waists, and forewings that are longer than the hind wings. Earthen (mud) tubes extending over foundation walls, support piers, sill plates, and floor joists. The mud tubes are typically about the diameter of a pencil, but can be thicker. A vacant tube does not necessarily mean that the infestation is inactive; termites often abandon sections of tube while foraging elsewhere in the structure. Wood that is hollowed out along the grain with bits of dried mud or soil lining the feeding galleries. Wood damaged by moisture or other types of insects (e.g., carpenter ants) will not have this appearance. Tiny holes through plaster or drywall, accompanied by bits of soil around the margin. Rippled or sunken traces behind wall coverings. Oftentimes there is no visible indication that the home is infested. Termites are cryptic creatures and infestations can go undetected for years, hidden behind walls, floor coverings, insulation, and other obstructions. Termite feeding and damage can even progress undetected in wood that is exposed because the outer surface is usually left intact. Confirmation of a termite infestation often requires the keen eye of an experienced termite inspector. 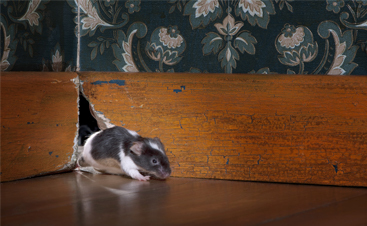 However, even the most experienced inspector can overlook infestation or hidden damage. Do I Need Professional Termite Treatment? Ridding a home of termites requires special skills and a working knowledge of building construction is needed to identify the critical areas where termites are likely to enter. Many of these potential points of entry are hidden and difficult to access. Termite control also utilizes specialized equipment such as masonry drills, pumps, large-capacity tanks, and soil treatment rods. A typical termite treatment may require injecting hundreds of gallons of a liquid pesticide, known as a termiticide, into the ground alongside the foundation, beneath concrete slabs, and within foundation walls. In short, termite treatment is a job for professionals. DIY products, sold to homeowners at retail stores or bought over the internet, will seldom eradicate an existing termite infestation. Generally speaking, there are two categories of termite treatment: liquids and baits. Soil-applied liquid termiticides have been around for decades. Their purpose is to provide a long-lasting chemical barrier that excludes termites in the ground from entering buildings. In most cases, termites in the structure die off as well, since they cannot return to the soil. Most former products were repellent rather than lethal to termites foraging in the soil. Newer materials, such as Premise® (imidacloprid), Termidor® (fipronil), and Phantom® (chlorfenapyr), are non-repellent and termites tunneling into the treatment zone are killed. Overall, the non-repellent products are proving to be more reliable in their ability to resolve termite problems in the first attempt. 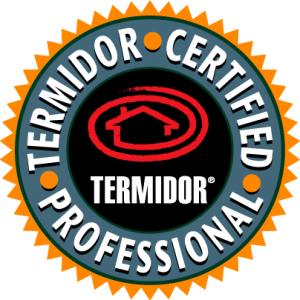 All registered termiticides (both repellent and non-repellent) can be effective, however, and homeowners should not base their purchasing decision on product alone. Does My Entire House Need to be Treated? Subterranean termite colonies may contain hundreds of thousands of individual termites foraging in many different directions. For the homeowner, localized or “spot” treatments are generally a gamble except in cases of re-treatment. Most reputable pest control firms will not warranty spot termite treatments, since it’s likely that termites will eventually find other points of entry into the structure. 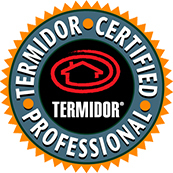 Some companies may offer to do a something called a perimeter treatment using one of the non-repellent liquid termiticides (Termidor, Premise, etc.). Typically this will involve a thorough application around the entire outside foundational wall of the building, and spot-treating any infested or high-risk interior areas. If a homeowner is considering such a treatment, he or she should inquire whether it will be accompanied by a service agreement in case termites return. Service renewal agreements usually state that if termites return, the company will return and retreat the affected areas at no additional charge, provided the renewal agreement is maintained. It’s a bit of a gamble to purchase any termite treatment option without an ongoing service agreement. 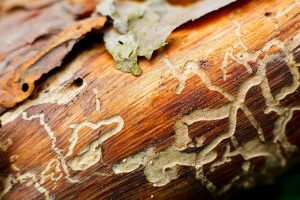 How Long Will the Termite Treatment Last? 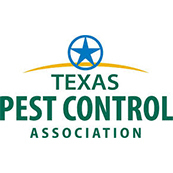 All liquid termiticides should provide termite control for at least five years when applied according to label directions. The actual length of control on a given structure will depend on factors such as thoroughness of the application, environmental conditions, and density of termites in the area. If termites swarm again and continue to be a problem a year after treatment, it’s usually not from degradation of the termiticide but because termites have found an untreated gap in the chemical barrier. Termiticides are tested extensively for adverse effects on health. Before a product can be used, numerous studies are conducted by the manufacturer and independently evaluated by the U.S. Environmental Protection Agency. Based on the current body of knowledge, registered termiticides pose no significant hazard to humans, pets, or the environment when applied according to label directions. Despite the negligible health risk from a properly performed termite treatment, people with lingering concerns should consult their physician. Most of the newer liquid products have essentially no odor. Clients who are still apprehensive may want to consider having their home treated with baits. Not necessarily. 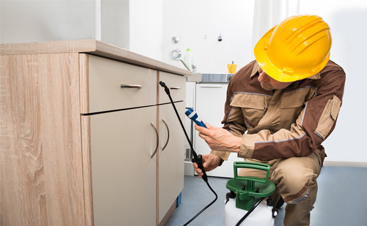 Unlike other services such as plumbing or electrical work, termite control involves living creatures. The best treatments performed by knowledgeable firms may fail at times, when termites find their way through tiny, untreated gaps in the soil. While the intent is to establish a continuous, impenetrable chemical barrier, this can be very challenging to achieve in actual practice. In the case of baits, it may take several months for termites to initially find the below-ground installations and several months more to achieve termite control. 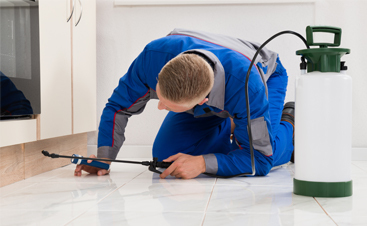 The key is to hire a reputable pest control firm employing experienced, conscientious technicians. Companies will return and retreat any affected area(s) at no additional charge provided the service agreement is purchased and maintained. 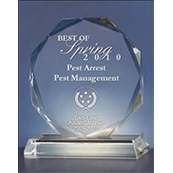 Contact Pest Arrest today for your termite control needs!